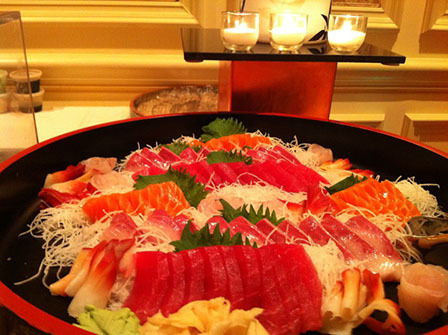 The art of Japanese teppanyaki cooking has been performed since the early 1900's. 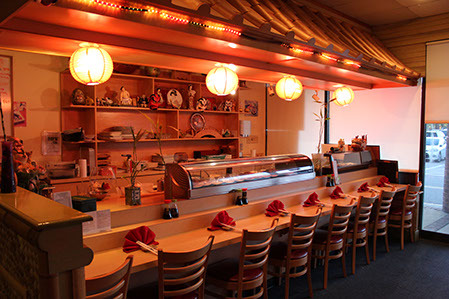 For your dining pleasure, Kyoto Japanese Steakhouse is proud to present that same culinary art in Severna Park! Balancing presentation with grilling expertise and a dash of humor, your personal chef will delight your party at every occasion. With family favorite displays such as the onion volcano and shrimp toss (catch a shrimp with your mouth), we pride ourselves in creating a memorable dining experience for everyone! In addition to hibachi, Kyoto also offers fresh, delectable sushi. Made with the same passion exhibited by our hibachi chefs, our sushi chefs will be delighted to appeal to your tastes. Our menu offers a wide range of fish - prepared as sushi, sashimi, salads, rolls, handrolls, and even special chef's creations! Whether it is a simple night out with friends, or a birthday dinner party or anniversary, we look forward to serving you! Don't have time to dine in? We also provide take-out as well as catering for all occasions. Give us a call or find us on social media, we look forward to hearing from you! Have a casual chat with our friendly sushi chefs. Make Ronald speak English regularly so he can help his sons with their homework! 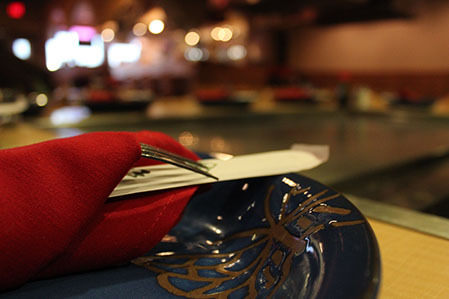 Have a conversation with friends and family while our hibachi chefs try their hardest not to drop spatulas on the grill! Perfect for birthday parties and other group gatherings. Sushi Burritos are a craze! Colossally delicious! At Kyoto we aim to balance food and fun. Come in and check our sushi specials board, where we showcase new and exciting items daily! Dine at home! 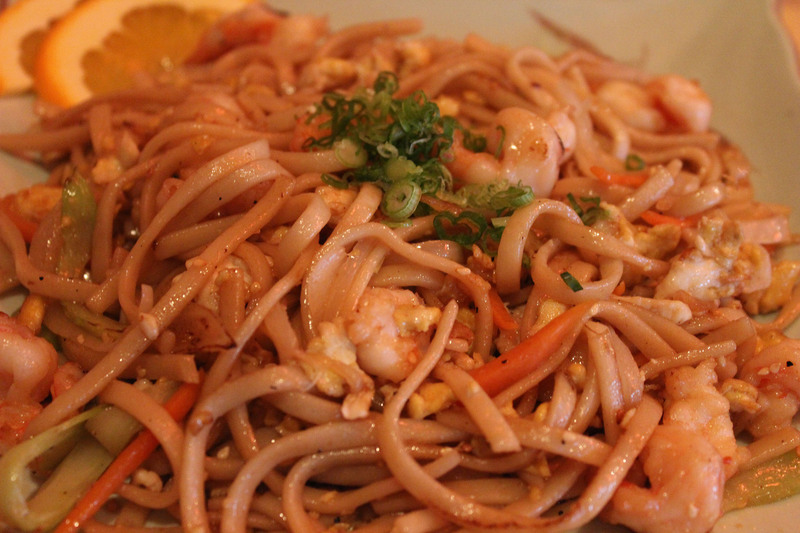 All of our menu items are available for carry out. 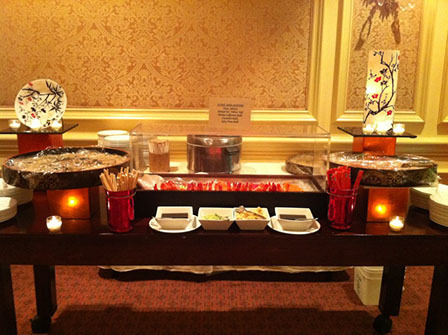 Have an event you would like for us to cater to? We're proud to offer discounted prices on catering services! Whether it's a meal for 1 or many, give us a call at (410)-647-4500 and let us know how we can help! NOTE: Last seating occurs 30 minutes prior to listed closing time. Reservations are encouraged. Kyoto is located in the Park Plaza Shopping Center, which sits southbound on Ritchie Highway between Baltimore Annapolis Blvd and McKinsey Rd. Our direct neighbors are Long & Foster and The Cottage.